I have always been quick to get excited about a new social platform as it emerges. Knowing this about myself I try and temper my optimism with a period of healthy skepticism and earnest exploration. After my original excitement regarding live-streaming, I took a step back and waited to see how this new form of communication matured. What I can now safely say is that the initial hype was well-deserved. Much of the preliminary buzzing around this new communication medium was the wealth of new platforms and apps that seemed to spring up almost overnight. Livestreaming isn’t new, but the ability to do it so easily and build off your audience on others networks is what’s different. In particular, there were three stand-outs that were poised to duke it out for the top spot: Meerkat, Blab and Periscope. While Periscope has (arguably) won since it’s owned by Twitter and therefore can tap into its ecosystem easily, the real story here is that live-streaming as a trend is here to stay and which channels you’re using comes secondary. This month’s #InsiderChat featured two leaders in the live-streaming industry: Vincenzo Landino is the Founder/CEO of Landino Marketing, as well as a course on how to master livestreaming in 15 days and Sunny Lenarduzzi a video blogger, social media marketing consultant and TV host. In this chat they shared actionable pro tips on how to be compelling with live-streaming on Periscope. Q1: Why invest in Periscope over other live streaming apps like Blab, Meerkat and others? As I already mentioned in the previous section, Periscope is the clear front-runner in the live-streaming race, but I was curious what my guests and participants thought about the specific reasons to choose Periscope over the myriad of other platforms. Vincenzo makes a very simple yet valid case for Periscope. When it comes to social platforms, audience size and reach trumps nearly every other factor. The argument that Periscope is the best because it’s popular might seem circular, but it’s definitely not. Especially when it comes to broadcasting, knowing you have a large pool to draw from is the top consideration. Jacob Warwick points out another great benefit of Periscope; namely that it is owned by Twitter. While the purchase by Twitter is one of the key reasons its reach has ballooned, another valuable side-effect of the acquisition is the robust integration it has with Twitter’s already entrenched and established distribution network. Live-streaming and tweeting go hand-in-hand, so the ability to do both seamlessly is not to be downplayed. While it can be easy to get whipped up into Periscope-mania, Sunny reminds us that the platform is secondary to the medium. Meaning that while Periscope might be the best option for live-streaming, the real trend to watch is the live-streaming landscape as a whole. Q2: Should a business have a series on Periscope or be more spontaneous with their broadcasts? 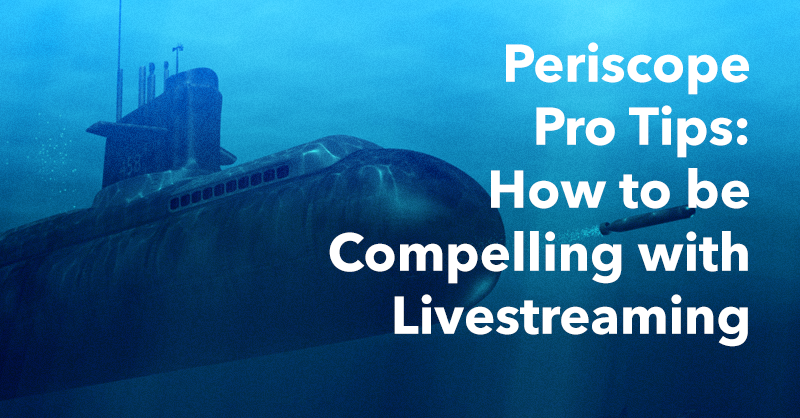 Live-streaming is clearly here to stay and Periscope is the best way to tap in to this new trend, so now let’s dive into some strategy. A key dividing line that has already developed in the streaming world is whether to schedule live-streamed content (to leverage the broadcast distribution) or to be more spontaneous with your streams (and sacrifice polish and reach for relationship-building informality). Vincenzo is urging us to shy away from overly-scheduled interaction, which I think is sound advice. Although traditional broadcasting thrived on series, this new decentralized medium doesn’t lend itself so easily to such a thoroughly defined time/place mentality. While he feels spontaneity is key, he is sure to let us know that scattershot and entirely random is not ideal either. Don’t make your broadcasts feel to stuffy, but be sure to set expectations and at least let your audience have a sense of what is coming and with what regularity. Ideon’s advice is one that I’ve echoed before in previous posts. When brands are deciding which marketing strategies to pursue, evaluating current trends is only one piece of the puzzle. The other, more important piece is to make sure that the platform aligns with your customer interests and your brand’s story and message. Sunny’s advice here strikes a middle ground that I think will work for most brands and audiences. People enjoy solid expectations with social media, but spontaneity at random intervals can enhance the reputation you build from regular updates. Q3: Can you discuss pro tips for better preparing pre-broadcast & post-broadcast? So you’ve decided that broadcasting is right for your brand on a high-level, and you’ve determined an ideal schedule for your streaming. Now, how do you go about preparing for your broadcasting? Even if you’re planning on being spontaneous (the irony of that sentence is not lost on me), you still want to make sure your operation comes off at least a little bit polished and professional. This is in a commercial context after all. Although Vincenzo only mentions a post-broadcast plan of attack here, having the means and readiness to respond to all comments will require prior preparation. In this way, responding to comments (which is certainly an undisputed best-practice) is actually something where you need to make time both before and afterwards. Beyond preparing yourself and your team for post-broadcast work, there is also work you can do to make sure your audience knows exactly what to do post-broadcast. Including a call to action and having a clear objective for your live-stream efforts will not only help you make the most of your work, but will also let you know where you can expect customers next. Both guests brought up a really important point, focusing on the right equipment when it comes to having a mic, the right lighting, power source and more is critical for a quality broadcast on Periscope. Vincenzo also recommended checking out his gear guide to get a comprehensive lists of all the equipment and tools he thinks are best suited for livestreaming. Q4: What are some major missteps to avoid when using Periscope? Eagerly jumping into a platform is almost always the best way to approach a new social network, but it is always advisable to watch out for certain key mistakes. Here are the top missteps people make with live-streaming. What Sunny warns agains is not so much a tactical error as much as it is a lack of purpose. It may seem obvious, but there are so many companies out there that invest in a social platform and use it simply for the sake of being there. This is a one-way ticket to wasting your time. Have a reason for being there, deliver value, be exceedingly generous. That’s the only way to succeed in any kind of social media and live-streaming is no different. Again, stay laser focused on what your strategy is for Periscope in order to gain value from its use. Vincenzo reminds us to stick to your topic when using livestreaming on Periscope as well since many business owners lose their focus mid-broadcast, which could confuse viewers who tuned it expecting a discussion around a particular topic. Q5: How can we drive action from broadcasting on Periscope? Like generating sales or subscribers etc. Broadcasting is a fantastic way to remain in touch with your audience and offers a unique opportunity for branding, but one of the most beneficial components of the platform is the potential for driving qualified leads. Vincenzo has a fantastic call out in regards to the nature of live-streaming. Specifically the LIVE aspect of live-streaming. When you are broadcasting to an audience you know that they are tuned in and highly receptive to messaging. 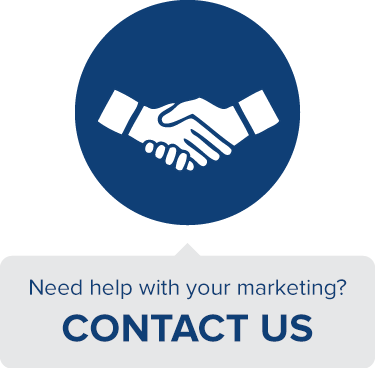 But you need to hammer the right messages home if you hope to capitalize on this potential for driving leads. Having clear CTA’s is the only way to tap into the full latent benefits of broadcasting via live-stream. Sunny’s piece of advice points to another key tactic that I’ve talked about at length. Cross-promotion and repurposing of existing content is an easy and effective way to multiply your social reach and to make the most of your efforts. Use Periscope as a part of your overall marketing mix. Again – don’t be there for the sake of being there. Have a good reason and make it clear. Ideon offers a synthesis of the previous two points that serves to emphasize the importance of what I’m saying here. Q6: Who are the best experts and brands to follow on Periscope to keep learning? After going through tons of actionable tips and advice, I thought it would be great to get suggestions on some of the top Periscope users out there today. I would highly recommend exploring all of these accounts and paying attention to how they put these specific tactics and tips into action within their livestreams. The more you expose yourself to high quality broadcasting from savvy brands, companies and leaders, the more of an instinctual feel you’ll develop for this distinct medium. I host #InsiderChat on the last Wednesday of every month at 1PM EDT to 2PM EDT to discuss how to do marketing the right way with key experts in the industry, don’t forget to join us for the next #InsiderChat on October 28th! Subscribe for calendar reminders.